August 7, 2017, 11:07 AM · In an effort to promote the coverage of live violin performance, Violinist.com each week presents links to reviews of notable concerts and recitals around the world. Pinchas Zukerman performed the Beethoven with the Boston Symphony Orchestra. 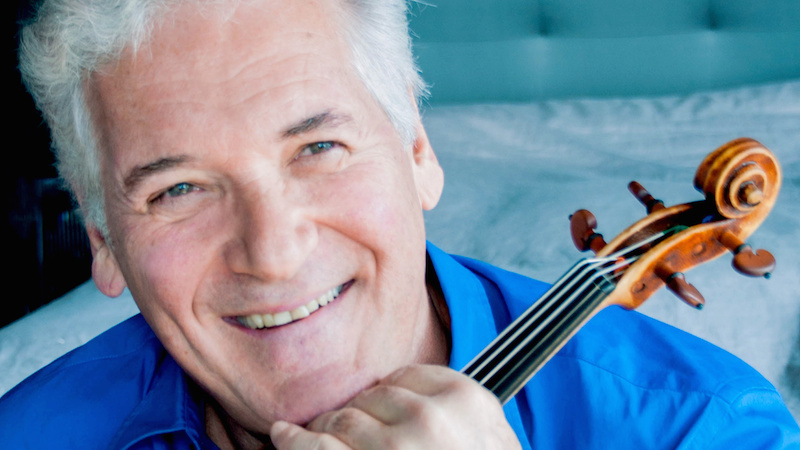 The Boston Musical Intelligencer: "Zukerman exhibited an almost uncanny sense of spellbinding story-telling.... Zukerman’s masterful grace and sweet sonority made a perfect match to this concerto’s many challenges of inward glances and deep, quiet emotion. And when asked to rollick he did so with grace and charm. His execution of two cadenzas by Fritz Kreisler was richly detailed and dramatically dovetailed." MassLive.com: "Zukerman sounded superb in the more intimate parts of the concerto, particularly in the slower second movement and the livelier third movement. Zukerman has a light touch that perfectly matched the lively, regal music, which often has a bird-song-like quality to the music." The Berkshire Eagle: "With penetrating but clear tone, he offset moments of showiness with generous amounts of suavity, finding felicities of phrase in the familiar music." Benjamin Beilman performed the Tchaikovsky with the San Francisco Symphony. The Berkeley Daily Planet: "American-born violinist Benjamin Beilman, age 27, has awesome technique; but Beilman also has something surprising in such a young performer – a wonderful interpretive feel for the delicacy as well as the sheer power of music." Alina Ibragimova performed Prokofiev’s First Violin Concerto with the Adelaide Symphony Orchestra. The Advertiser: "Her tone has a silvery lustre, wedded to a very flexible technique that allows her to make light of Prokofiev’s inconsiderate changes of register and awkward leaps. In intimate chamber-like dialogues with the orchestra - a passage for violin, flute and harp springs to mind - the effect was magical." Adele Anthony performed Castelnuovo-Tedesco's Sonata for Violin and Cello with cellist Brinton Smith. The Aspen Times: "The deftly crafted sonata creates a range of unique sounds, including long arcs of lyrical melody and classically framed form. A sequence of pizzicato chords sound much richer than two string instruments should be able to produce." Angelo Xiang Yu performed Mozart’s Violin Concerto No. 3 with the Cincinnati Chamber Orchestra. Cincinnati Enquirer: "The violinist’s artistry was most evident in the slow movement, where his phrases were drawn out, interior and lyrical. It was a breathtaking moment amid all the fireworks. For an encore, Yu offered an enthralling performance of “Meditation” from “Thais.” It was finally a chance to revel in the sweet tone of his rare violin, and you could have heard a pin drop in the hall." August 8, 2017 at 06:00 PM · I find it hilarious that a "wonderful interpretive feel" is considered "surprising" in a perform who is 27 years old. The person writing the review must be a fossil. August 9, 2017 at 03:24 AM · And Ben has been playing with that "wonderful interpretive feel" since he was a teenager! August 11, 2017 at 07:20 PM · I'd have expected something a little hipper from the "Daily Planet." Where was Lois Lane?